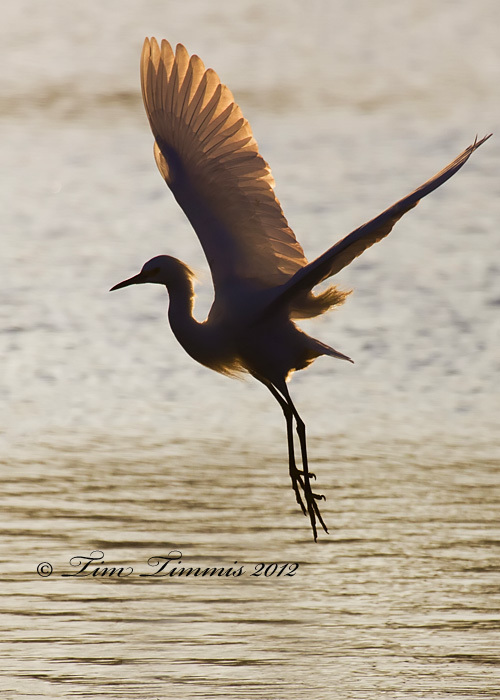 Here is a Snowy Egret coming in for a landing at Brazos Bend State Park in TX. Taken early in the morning with some good ‘ol back lighting. I tracked this Snowy as he flew across the water and saw that he was going to be back-lit and fired away as he spread his wings for the landing. This entry was posted on March 3, 2012 by Tim Timmis. It was filed under Birds and was tagged with Snowy Egret.